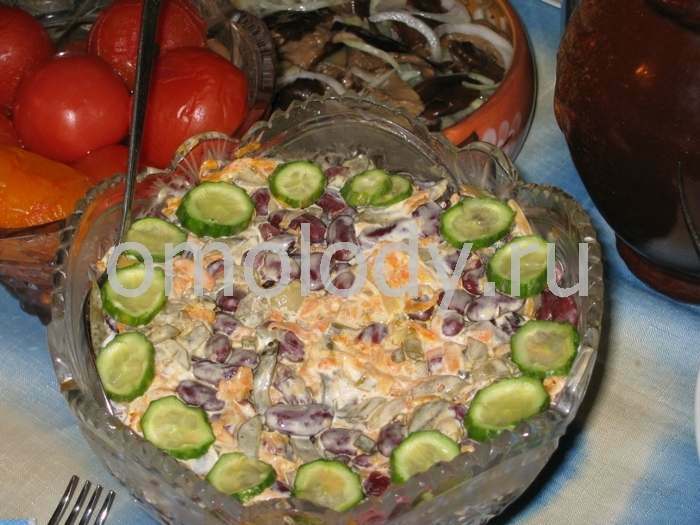 Beans cucumbers Salad. Recipes from Russia. 1. Soak beans overnight in plenty of water. Rinse and remove any remaining skin on beans. Place beans in a saucepan with enough water to cover beans. Cook until beans are soft. Skim the surface of water at intervals. When cooked, drain. Chill. 2. 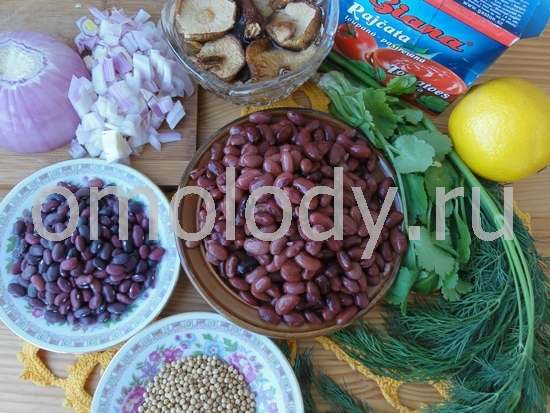 Combine cooked beans with remaining ingredients. Decorate with Celery, dill or Melissa leaves. Serve.